Hello to all of you who love stationary as much as I do! 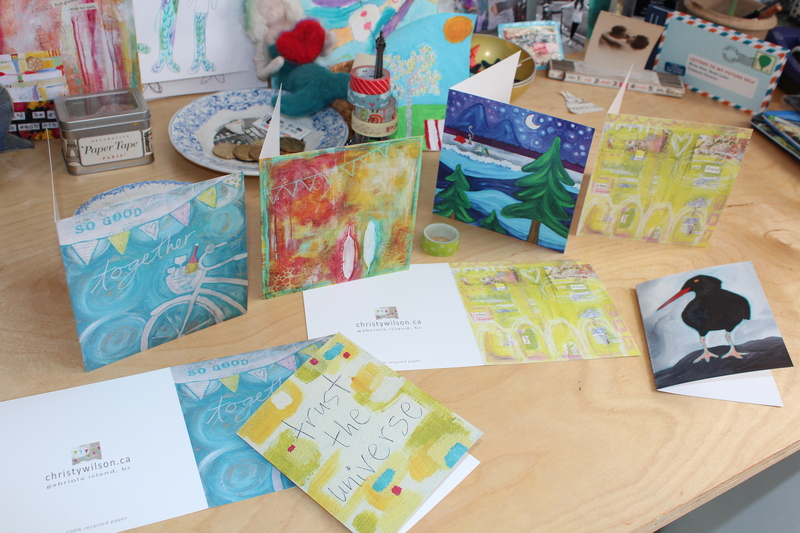 I have good news from my studio today — I am bundling up some new card designs to take to Artzi Stuff (in Nanaimo), Pier Gallery and Village Food Market (both on Gabriola). There are some sweet ones if I do say so myself. 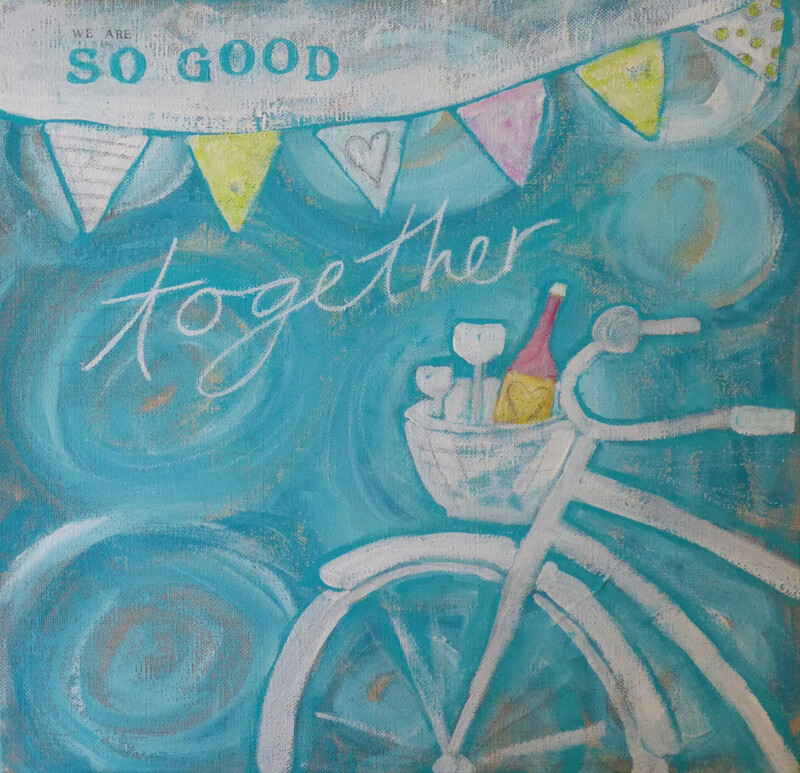 The bike would be perfect for an anniversary card, the “good friend” one could do the same duty but would also be perfect for a mother’s day card. The camping surfers scene would be perfect to send to someone with your summer news. There is a new oyster catcher (since I received so much good feedback about the first one) and “trust the universe” is a reminder we all need to hear once in awhile. Then there are those feathers topped by party flags, they would be perfect for any sentiment I think! I will also be replenishing all three shops with some of my other favourites, just in time for mother’s day. If you don’t have time to make your mother/grandmother/mother-of-your-children a card, then why not consider one of these? Whatever you do, please honour the mothers in your life in some special way….they deserve it! P.S. 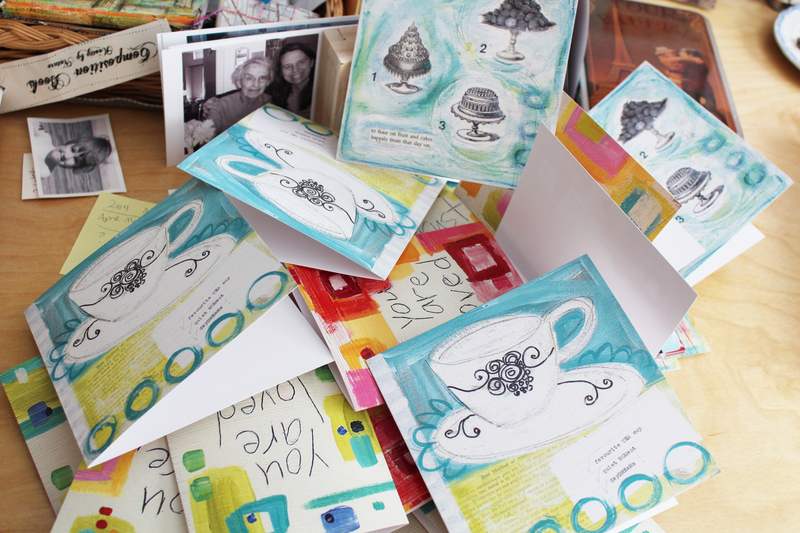 remember, all my cards are printed on 100% recycled paper, so they are a gift for mother earth too! 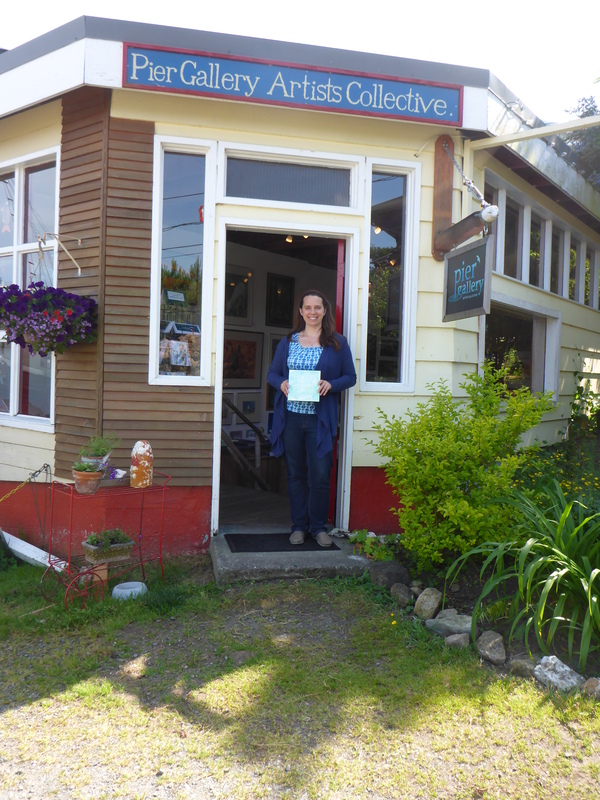 Somehow I have failed to tell you that I am now part of a local cooperative art gallery on Gabriola! 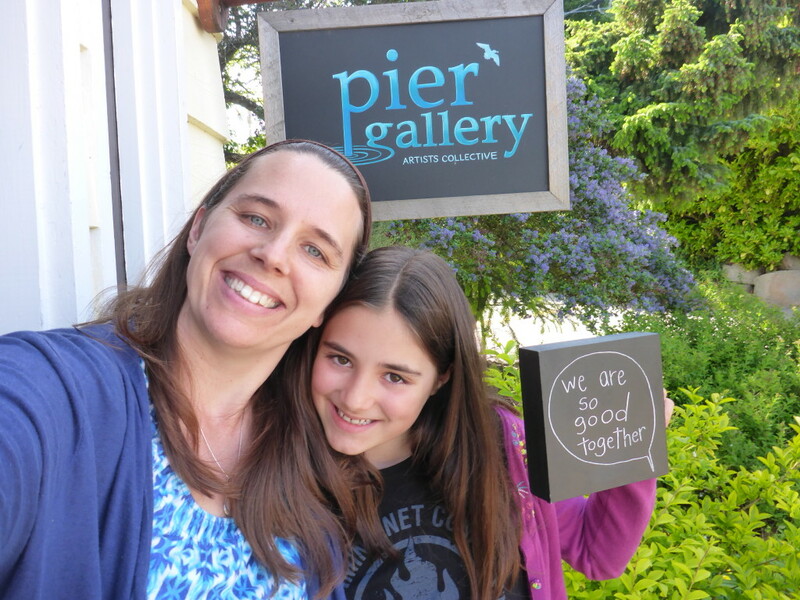 I joined the Pier Gallery Artists Collective at the end of May and since then I have been selling paintings, cards and calendars to visitors from all over the world! Today a group from Australia left with my teacup calendar and a couple from Vancouver bought 5 of my art cards (which I imagine will travel to others who will discover my art from a distance)…and three of my paintings have already sold. 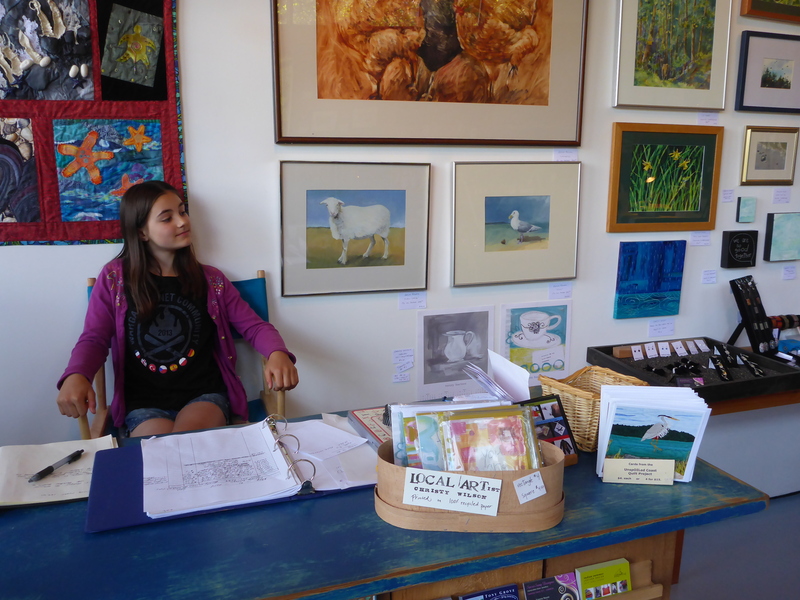 During my shifts at the gallery (located at the Silva Bay Marina), I really enjoy chatting with locals, visitors, and so many boaters. Raena came down to help out one day and cannot wait until her next chance to help with the cash register (living math and another successful homeschooling moment for her). Alex is hoping to come down for my next shift! 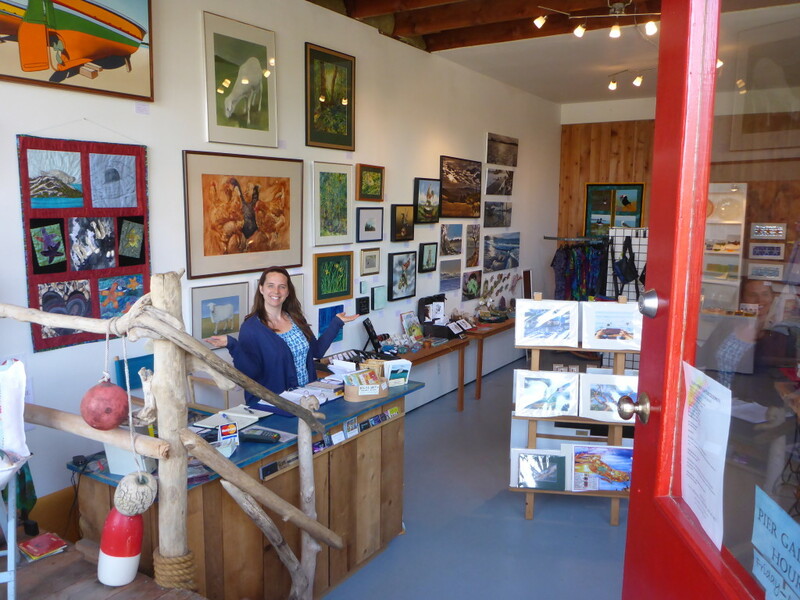 The gallery is open 7 days a week. 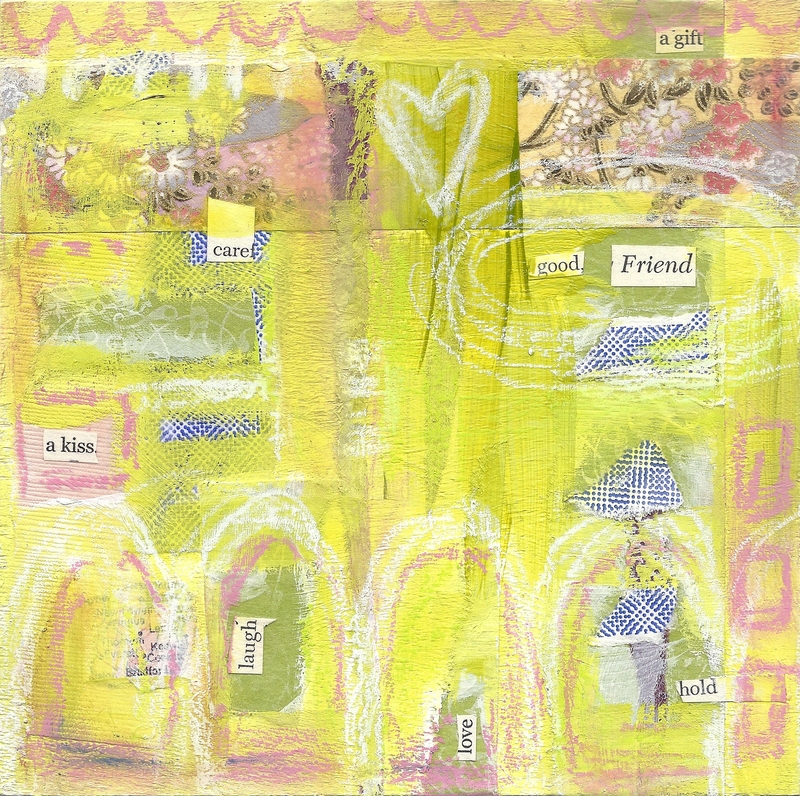 Find out more about the collective and see some of the art on our Facebook page. 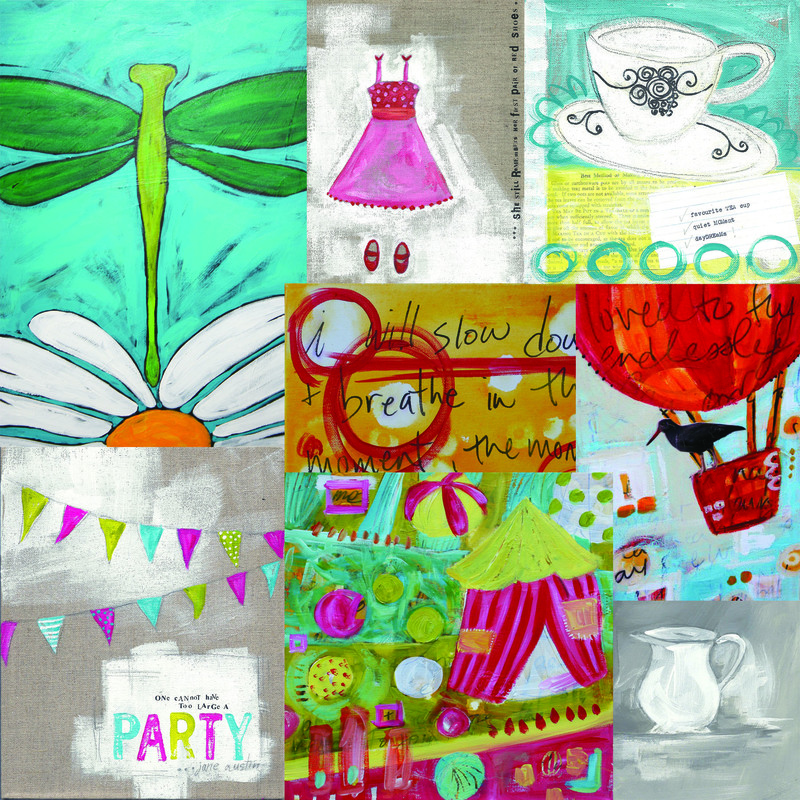 Creations made by two dozen artists await you! There is something for everyone…..organic lotions and soaps, herbal teas, pottery, jewellery, fused glass, paintings, photography, art cards, quilted art, tie dye clothes, handcrafted leather, pillows and aprons and more. We even have fun filled grab bags just for the kids! Why don’t you drop by and say hello?